Learn to meditate and overcome stress, improve your relationships, solve daily problems and find inner peace. Meditation is a simple, natural and effective way to find better health and real happiness. Each class is self-contained and you are welcome to attend any class at any time. No pre-registration is required. Everyone is welcome! 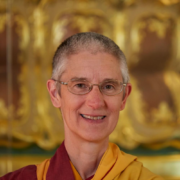 Gen Kelsang Delek, the Resident Teacher of KMC Fraser Valley, has been studying and practicing in the Kadampa Tradition for 30 years. She is loved by her students for her kindness, sincere example, and the clarity of her teachings. Learn a sequence of time-honoured meditations called taking and giving. 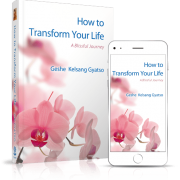 These meditations are powerful methods for developing love, compassion and wisdom that heal both mind and body. The practice of taking and giving helps us transform self-centred attitudes; develop the good heart of compassion, our Buddha nature; and even heal physical illness. Think all phenomena are like dreams. Buddha taught that if we examine the true nature of things, we will discover that all things are mere appearances to mind – like things seen in a dream. They are totally dependent upon the minds that perceive them. If we learn to think like this we shall be able to live lightly and have the flexibility of mind to respond to every situation in a constructive way. There is no greater method for experiencing peace of mind and happiness than to meditate on the true nature of things, emptiness – it is the universal solution to all our problems. You may purchase series passes online using the links below, or at the class. There is parking onsite. If our lot is full, please park along the fence at the Sikh temple next-door.